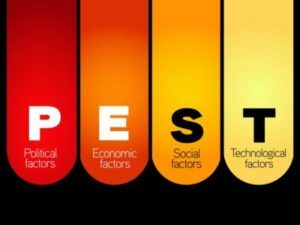 As per recent studies, there are different solutions available in the market for eliminating different types of pest. For an example solution which is made for eliminating cockroach want to provide effects on bed bugs as expected. It is essential to justify what kind of pest’s problem you going through before buying a solution. It is hard to inspect pest control problem by an inexperienced individual and that is the reason it would be beneficial if you go for professional help. There is numerous company available in the market of Brisbane city and you can choose the best pest control service for you easily. Reason to hire a potential pest control service. Pests can cause many problems in a person’s life. They not only can damage expensive household items but also they could be the reasons for different diseases as well. It is essential to go for reliable pest service in order to maintain a Healthy lifestyle for your family. Ecoguard Pest technician provider can help you to get rid of the harmful pests easily. Quality pest control service at your budget. It would be pretty easy to find affordable pest service in Brisbane city. But before hiring someone at your service you should check on the quotation that a company is offering to the customers. From this procedure, you will be able to hire the best pest service that will fulfil your requirement in your budget as well. Well experienced pest control service would be ideal for you. Well experienced pest service would give you inspection of your property so that they can give you the exact expense amount that will be required for. From this, you will be out of the extra expenses and save a lot of your hard-earned money.< Professional experts a range of services specifically designed for agrifood factories. They use to make sure that pests can not affect your production and that the level of quality required by your customers and hygiene inspectors is always respected. They support their clients in their audit checks. The quality inspectors are experts in strict standards and will advise you best on your pest management plan. The pest prevention service protects supermarkets from pests of any kind. During the regular service visits, the technician thoroughly inspects all areas of the store as well as inventory and surroundings, to identify any risk of pest infestation and to take the necessary treatment measures.